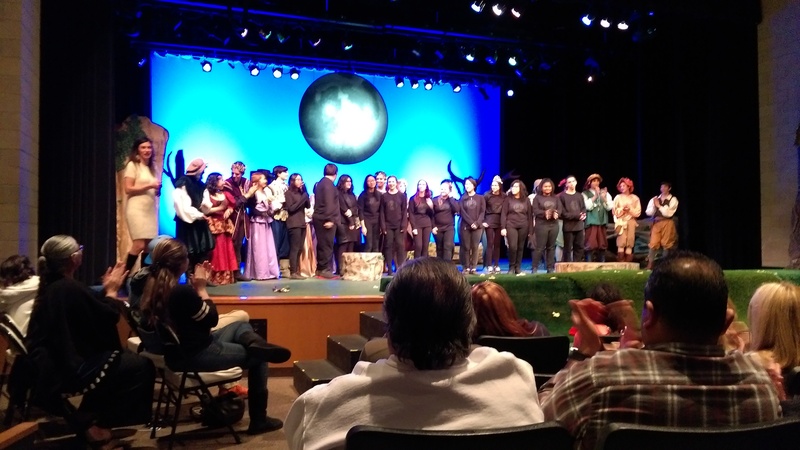 By Robert Klimper |Staff Writer| A Midsummer Night's Dream, a comedic Shakespearean play, brought humor, drama and a bit of magic to the stage of Blackhawk Theatre at Citrus Valley High School, from Feb. 16 until the 25th. The play was put on by the Honor Troupe at Citrus Valley High School, which is given the name due to the actors being held to a higher standard with tougher plays. A major component of A Midsummer Night's Dream is fairies in a forest casting magic and playing tricks on humans that wander into the forest. The concept of a Shakespeare play can seem like a tough task to tackle, and for some, it can be hard to interpret what is said due to the unique language the … [Read more...] about Shakespeare Lives!